Went to Melbourne for 10 days and brought back bed bugs. Didn’t even know what these things were. The amount of money we spent on buying medicines and creams was ridiculous! Went thru stages of being depressed because of the bites all over my body and walking around in 40 degree heat in a long sleeve top was horrible. I went online and found bedbug barrier and was i showed my husband and we watched the video and thought let’s give it a try. Because of the success rate was high to get rid of them we thought yeah let’s just try it. Best $340 dollars I’ve ever spent. We got the encasement mattress protectors for 4 beds and for the tape and the bed bug powder. It’s been about 7 weeks and we haven’t got any bites or seen any bed bugs or seen any traces of them. 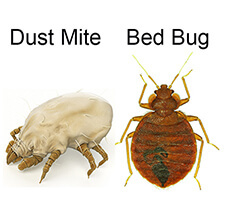 If you have bed bugs don’t delay get rid of them with the bed bug barrier it truely works.